Are you a website owner, marketer, or a blogger involved in producing content regularly? 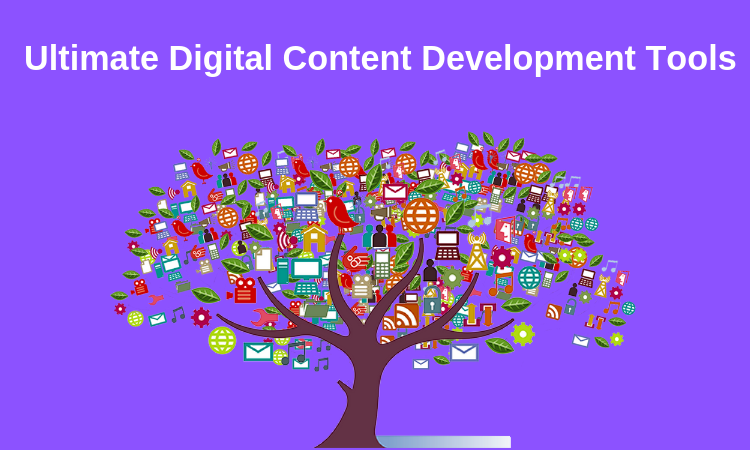 Then you must know about these digital content development tools which can help improve your productivity. Many people convert a site to WordPress only to access an easily-manageable blog. The open-source platform is ideal for users with limited technical knowledge. It enables them to create, modify, and upload content without any hassle. However, the modern consumer is not satisfied with write-ups only and wants access to visual material like images and videos. Content creators need to be able to produce diversified matter to cater to the varied tastes of the audiences. These tools will help them research, plan, and design their compositions in a better manner. One of the best-known tools for writers, Grammarly will help improve the quality of your writings. It can be accessed as a desktop app or as an extension for the Google Chrome browser. The product supports other writing browser-based writing applications like Google Docs. As soon as users start typing in the service’s or any other compatible editor, the tool starts highlighting the mistakes. It helps spot grammatical, punctuation, and spelling errors. Grammarly is a handy solution for people who generate a lot of text-based material regularly. Generating your own material is not the only way to leverage content. You can also choose to curate relevant third-party material and post it on your digital platforms. Curation has emerged as an effective tactic for engaging audiences on different avenues like social media. Scoop.it is a content marketing solutions service which helps you gather and publish a topic page within minutes. It allows you to provide credible material to your visitors and help in building your image as a trustworthy source. Crello is a suite of graphics design software and online photo editing tools. The service can be used for creating beautiful visuals for websites, blogs, social media, display adverts, etc. There are readymade templates created for different platforms which can be used for customizing visuals. It has an extensive library of about 12,000 free photos, 33 design formats, and 11,000 templates. The service is ideal for beginners and other individuals with limited financial resources. Its free version lets users access over 4,000 images and design layouts. One of the most innovative solutions on this list of digital content development tools is Audacity. It is an open source audio software which lets people record and edit audio clips. The service is compatible with all major operating systems like Windows, Mac OS X, and GNU/Linux. It allows users to record live audio or digitize from another source. They can also edit and combine the files and export them in a preferred file format. It is a helpful tool for people who upload podcasts and other audio material. We are living in an age of information overload. Our digital feeds are stuffed with all kinds of data. It is possible that your content gets lost in this huge volume of information. In order to instantly catch your audience’s attention, you need strong titles for your material. The CoSchedule Headline Analyser helps you assess the effectiveness of your headlines. The tool will give an idea about the SEO value, traffic and social share a title can generate. Lumen5 is a smart video creator which uses artificial intelligence to create videos from text. Users have to provide a writeup and the tool will provide relevant videos and images for it. The service provides an intuitive interface with drag and drop facility. People can simply drag a slide and include it in their composition. They can also use its customization features to personalize the visuals according to their branding strategy. Bloggers and writers need visual aids like charts and graphs to explain complicated topics or display statistics easily. Atlas is a tool which provides data visualizations for a range of subjects. You only need to enter a topic or keyword and the solution will show you all the related graphs. This helps in researching a subject and getting authentic information. People can also use the tool to make their own graphs and charts. Canva is one of the most popular image creation services in the world. It can be used to produce custom pictures for websites, blogs, social media posts, and other purposes. People can also add text to the images and include speech bubbles. It is an easy-to-use tool for composing attractive visuals. Most of us face formatting issues when pasting content created with another tool into our CMS editor. Word2CleanHtml provides a solution to such problems. Simply paste the writeup in its editor and the tool will apply filters to create well-formatted HTML. You can then paste the final draft into your CMS without any hassle. Digital content development tools are effective in improving the standard of all kinds of content material. You must use these solutions to ease your workflow and improve your efficiency.